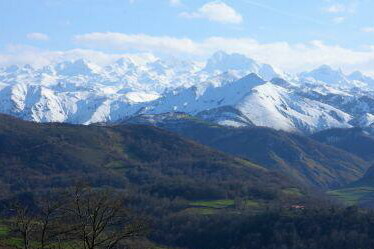 The snow covered Picos de Europa mountains. Winter is a beautiful time of year here in Asturias, when the Picos de Europa mountains are often covered in snow and there is a good view of the mountains from the grounds of “El Paraiso del Burro,” however, at this level, we rarely get snow covering the ground for any length of time. The small shelter for new arrivals. Winter is a time of year for taking a little extra care of the animals to ensure that they do not get too cold or too wet. 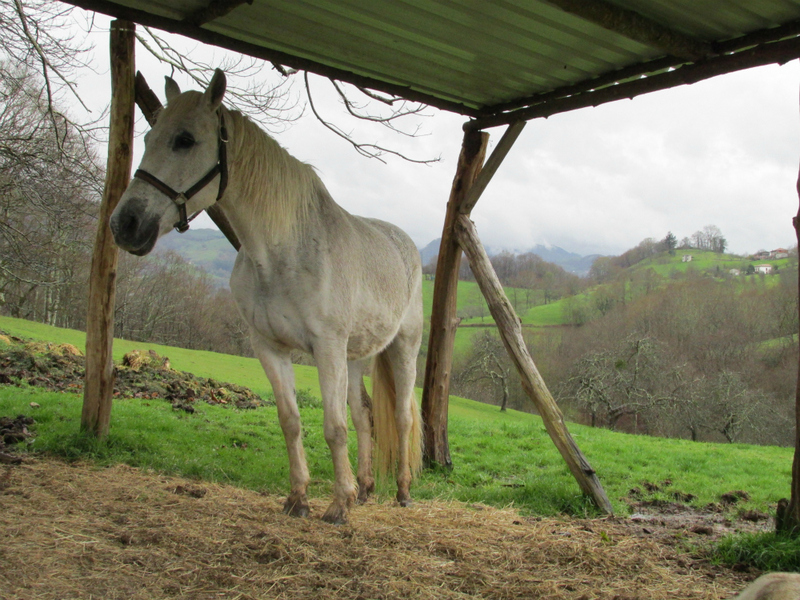 At “El Paraiso del Burro” we have large, dry stables and outdoor shelters, stocked with plenty of hay and drinking water, to keep our donkeys warm and dry. They are always brought back into the stables to shelter from the heavy rain, wind and occasional snow. Donkeys come originally from hot, dry countries and their coats are quite different to that of a horse. 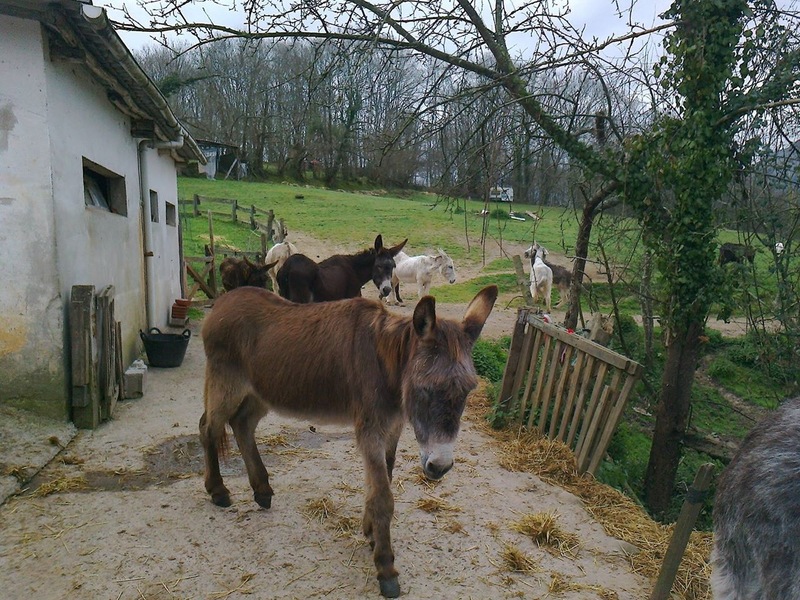 A donkey’s coat becomes wet through very quickly on rainy days and the donkey quickly becomes cold and miserable. As donkeys can also be prone to pneumonia or bronchitis, it is important to provide a shelter for them so they are able to get out of the rain. How often do you see a donkey left out in a field in the rain? They never look very happy do they? Please provide a shelter for your donkey and remember that if you look after him or her well he will live longer and be healthier. 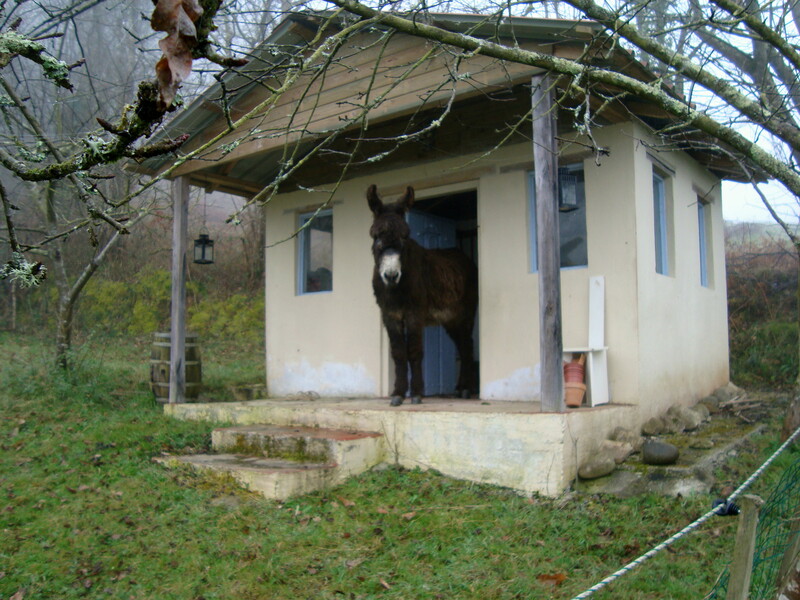 Finally, I wish you all a very Happy New Year from everyone at “El Paraiso del Burro”.